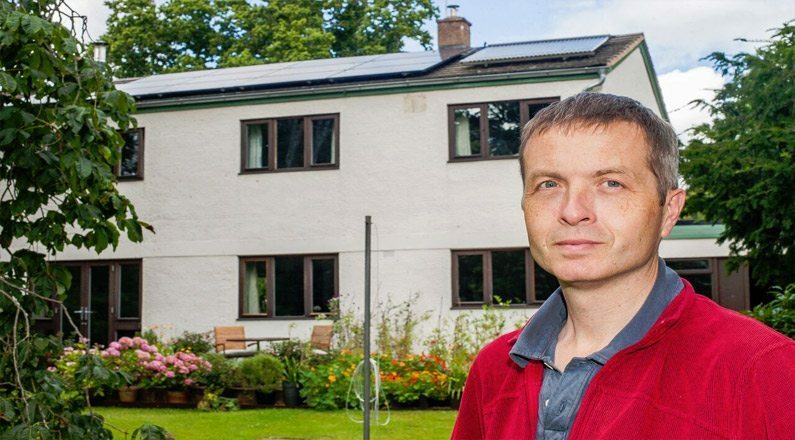 Topsham resident Malcolm Waite had been investigating having solar PV installed for almost 10 years, but a bad experience with a poor solar thermal installer left him wondering if renewable energy would be the best option. 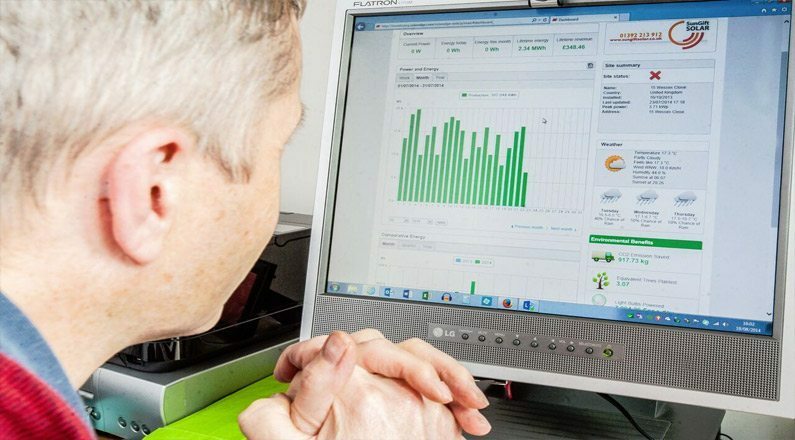 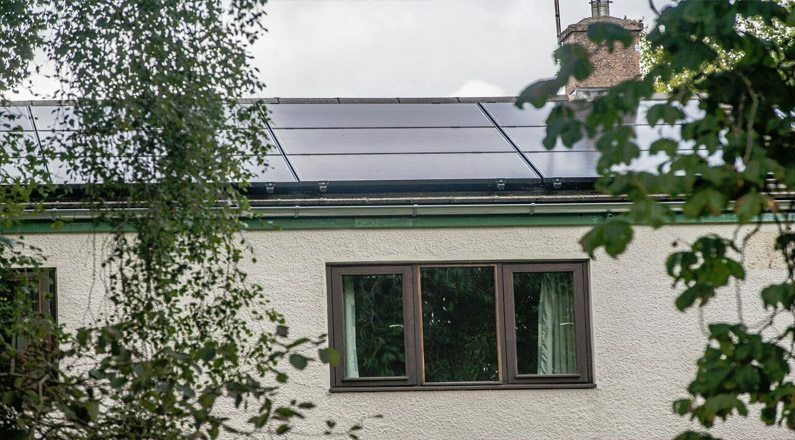 That’s until he contacted SunGift Energy to help rectify his solar thermal problems and he found an installer that he could trust. 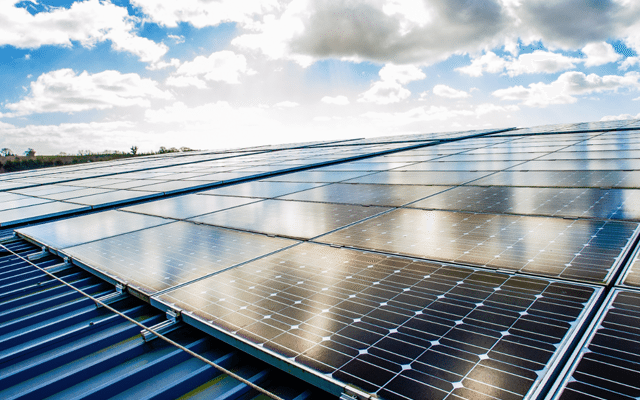 After carrying out a detailed site survey and a drawing up a bespoke design, SunGift installed a 3.84 kWp solar PV system for Malcolm using panels by BenQ, which manufactures some of the world’s most advance solar technology. 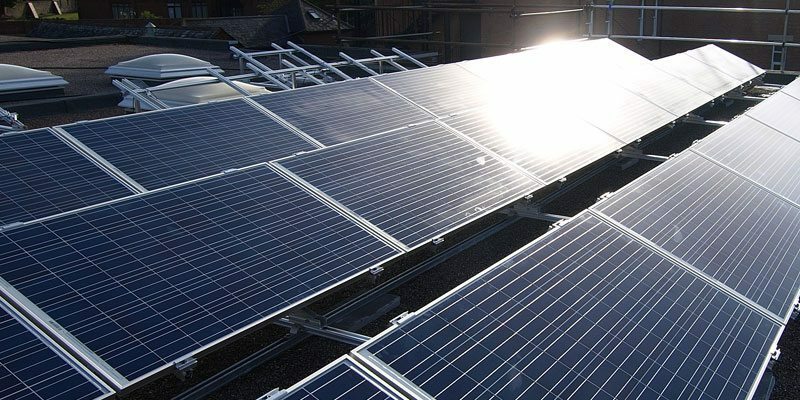 scaffolding for the job, and other world-leading components such as a Solar Edge inverter and K2 roof fixings.